Free Shipping Terms and Conditions: Online purchases totaling $100 or more. 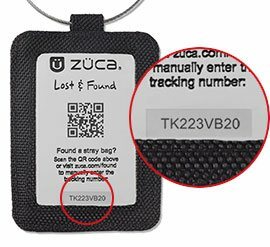 This offer applies only to Standard Shipping within the 48 contiguous U.S., for eligible ZUCA merchandise purchased online at zuca.com. Only the total value of eligible merchandise (after any permitted discounts are taken) can be applied toward the $100 minimum. Customers are responsible for taxes and Rush Delivery upgrade fees for 2-Day Express and Next Day Delivery. This free shipping offer cannot be applied toward past purchases. This offer may not be redeemed for Business Sales orders. *SAME-DAY SHIPPING - All orders received on business days by 2:00 p.m. PST, will ship that day. Any order received after 2:00 p.m. PST, will ship the next business day. Keep calm and carry on with the sleekest, neatest and handiest rolling luggage on the road. Travel bags feature built-in seats and stacking pouches. Make-up bags are beautifully organized. Travel backpacks come—and go along—in coordinating designs. Our wheeled sport bags take a load off your backs and come in loads of patterns and themes and color schemes. Like skate bags on the cutting-edge. Dance bags that are far from routine. School bags with high achievement scores. And Hello Kitty who’s along for the ride. Our original creations appeal to kids and grown-ups alike! What's your bag? We took our engineering expertise off-road to develop a rolling duffle with unbelievable strength and durability. 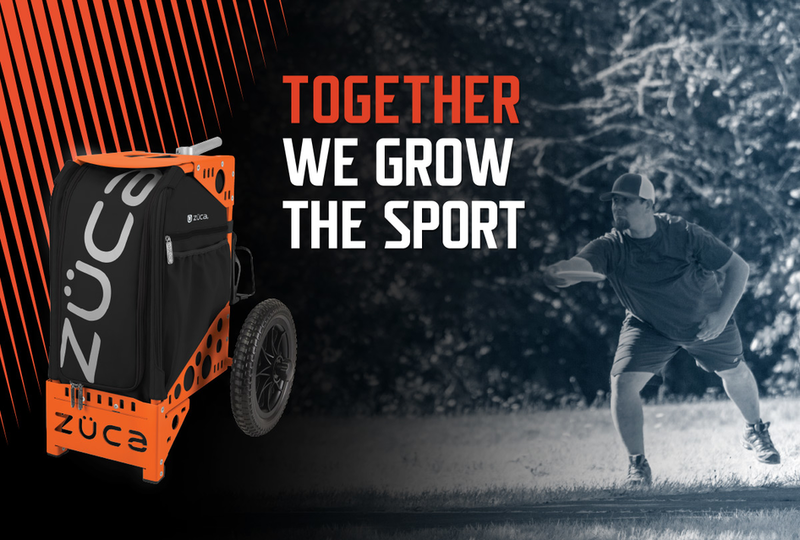 Our famous focus on organization makes this an ideal disc golf cart. Our signature craftsmanship means it will go the distance year round. Four-legged friends jump at the chance to ride--and stay!— in this best-of-breed pet carrier. With a comfy interior and an exterior design that reflects its personality, your little pet is good to go outside, in a car, or to simply hang out at home. It's as easy as 1 - 2 - 3. (Okay, that might not be easy). Pick a frame color that coordinates or contrasts. Personalize it! Personalization is available for some of our designs. Embroider your name, your team name, your monogram, or even a word you like, and you're good to go — your way. Looking for the best beauty/makeup bag, photography bag or a business travel bag? See why professionals agree ZÜCA offers the top rolling bags in 2019. We regularly introduce new additions to our exclusive assortment of bags with wheels. Explore all the latest products, designs and accessories. Better than a backpack, ZÜCA's versatile school bags with wheels are perfect for today's always-on-the-go students. Lug your heavy books with ZÜCA. Whether you're into competitive ice skating, irish dancing, roller derby or disc golf, ZÜCA's heavy duty frame protects your gear in a stylish, handwashable bag. Luggage you can sit on!